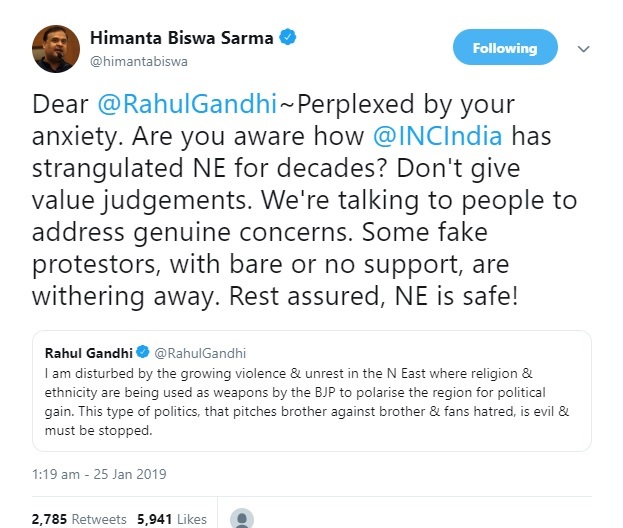 All India Congress Committee (AICC) president Rahul Gandhi and Assam finance minister Himanta Biswa Sarma are engaged in a war of words on the social media platform, Twitter, over the contentious Citizenship (Amendment) Bill, 2016. 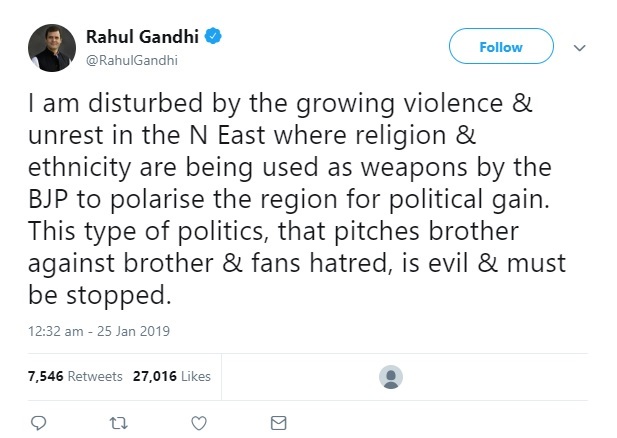 Gandhi took to Twitter alleging the saffron party is trying to ‘polarize’ the Northeast for electoral gains and triggering ‘unrest’. 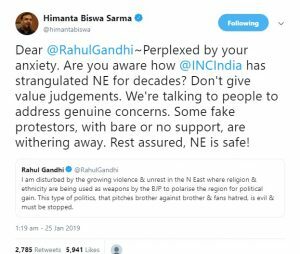 Himanta during his recent addresses at party gatherings had equivocally supported the contentious bill saying the bill can only save Assam from becoming a second Kashmir. 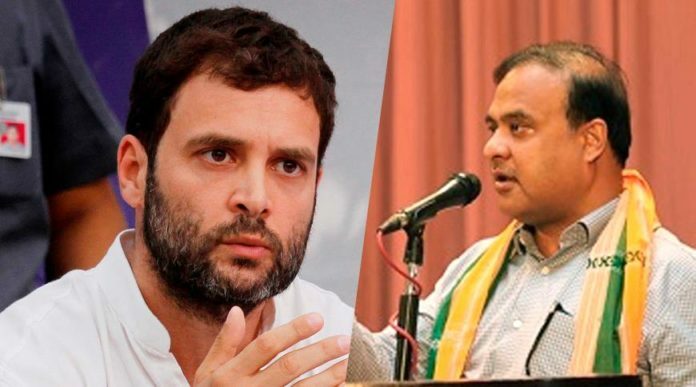 Himanta has also been advocating enforcing the Assam Accord’s Clause VI and Scheduled Tribe status to six communities, the other two issues that had also evoked mixed reactions across Assam. 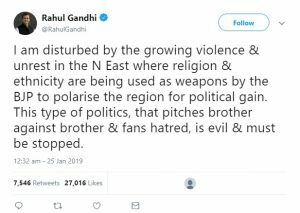 Meanwhile, protests continue to rock Assam and the entire Northeast even as the Republic Day celebrations were boycotted in the region in almost all the states.